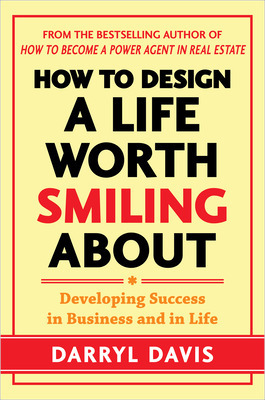 Guest post by Darryl Davis, author of How to Design a Life Worth Smiling About. Contrary to popular belief, it takes more muscles to make a smile than a frown… and that’s a good thing. Of the 40 muscles in your face, when you make a great big smile, 12 muscles are involved. On the other hand, when you frown, you’re only using 6 muscles. Smiling takes double the effort and that’s why it brings about double the rewards. And yes, the fountain of youth. A smile a day keeps the ugliness a way. That’s right. Smiling makes you appear more attractive. A smile a day helps you look younger. Whatever your age, smile and dial back the clock 20 years. OK, maybe I’m stretching it. But you can dial back a few years for sure! A smile a day reduces stress. Go ahead and give those 12 muscles a workout. A smile a day helps you live longer. Long Live the Smiler! A 2010 Wayne University research project done by Ernest Abel and Michael Krug examined baseball cards from the 1952 registry. The study found that the span of a player’s smile actually predicted the span of his life. Players who didn’t smile in their pictures didn’t live as long as those that did. Players with big smiles lived an average of 7 years longer than players who didn’t smile. Smile and say “cheeeese,” because how long you live might just depend on it. Darryl Davis is a renowned speaker life coach and creator of the nationally recognized term Next Level. He is also the founder of the year-long coaching and sales training program The POWER Program which has proven results of doubling salespeople’s production over their previous year. 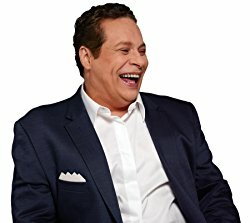 He strives to bring his students to their “Next Level” of success by training them on how to have more fun and less stress in their business and personal lives. Darryl Davis is a renowned speaker life coach and creator of the nationally recognized term Next Level. He is also the founder of the year-long coaching and sales training program The POWER Program which has proven results of doubling salespeople's production over their previous year. He strives to bring his students to their "Next Level" of success by training them on how to have more fun and less stress in their business and personal lives.